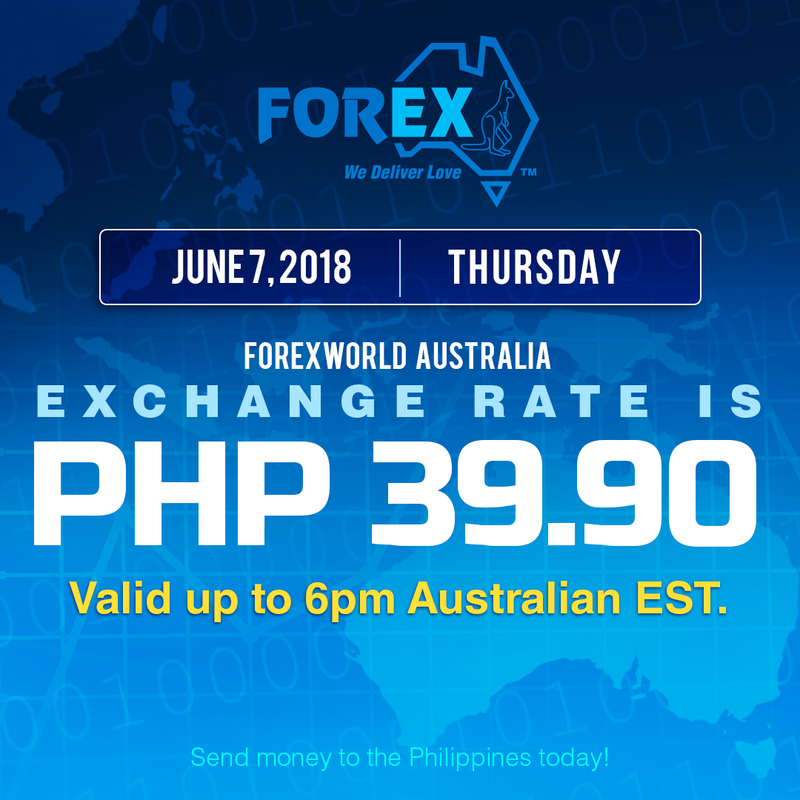 Forexworld Australia Exchange Rate June 7, 2018 (Thursday) is PHP 39.90 valid up to 6pm Australian EST. 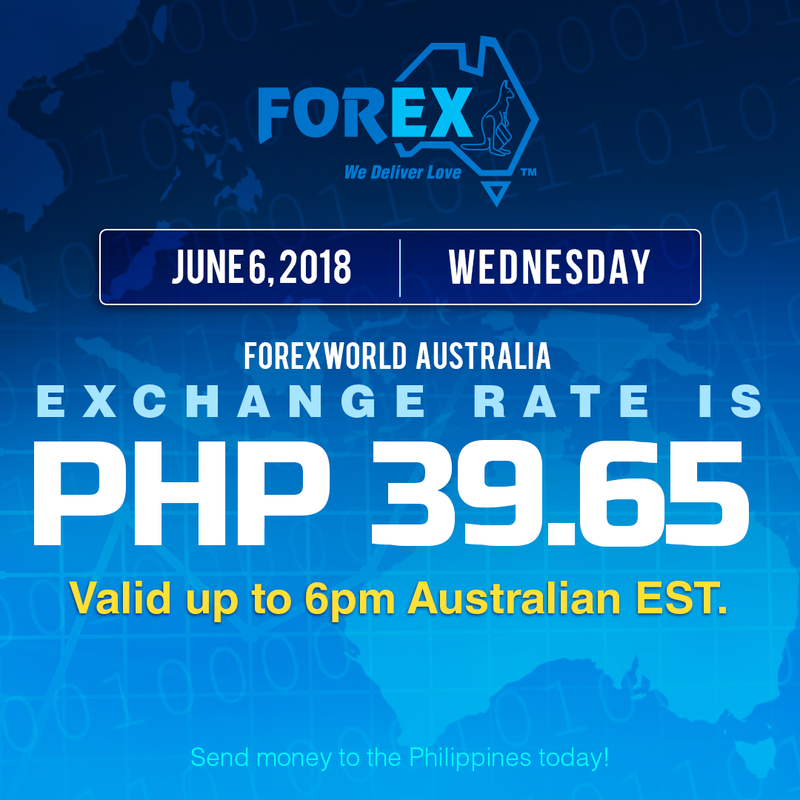 Forexworld Australia Exchange Rate June 6, 2018 (Wednesday) is PHP 39.65 valid up to 6pm Australian EST. Forexworld Australia Exchange Rate June 5, 2018 (Tuesday) is PHP 39.90 valid up to 6pm Australian EST. 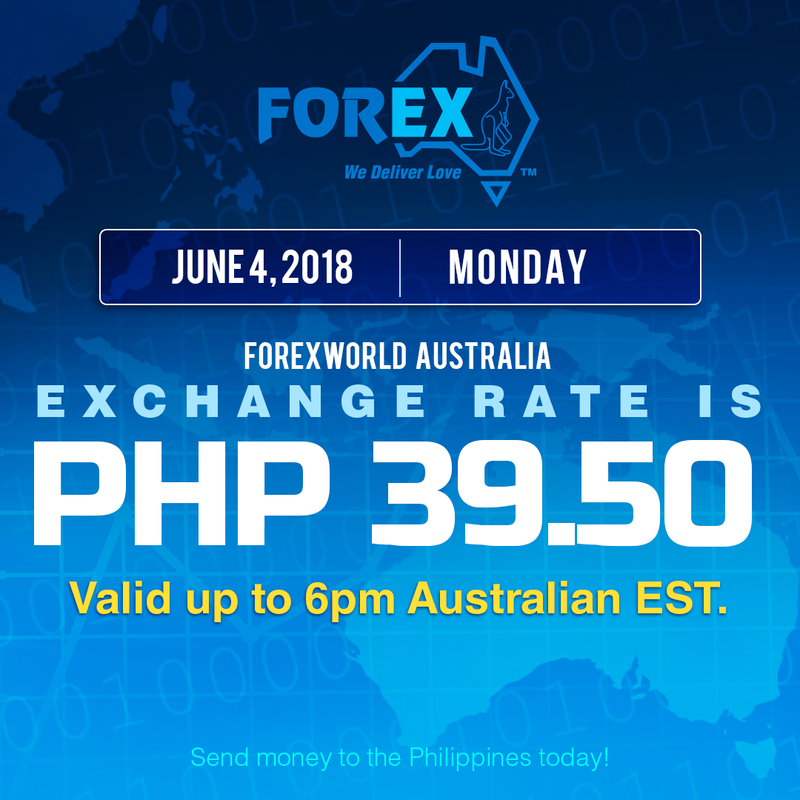 Forexworld Australia Exchange Rate June 4, 2018 (Monday) is PHP 39.50 valid up to 6pm Australian EST. 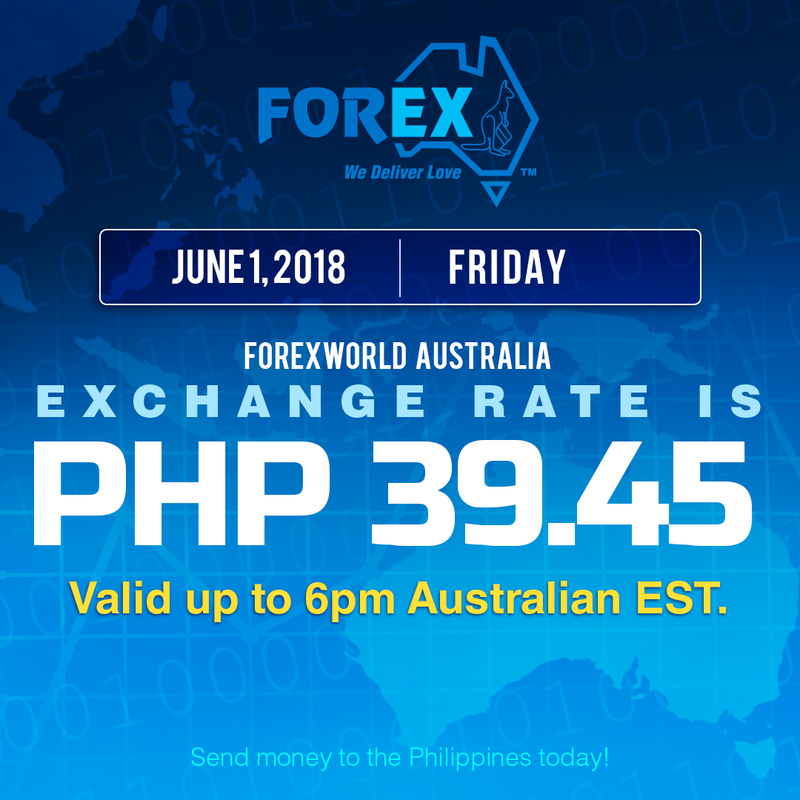 Forexworld Australia Exchange Rate June 1, 2018 (Friday) is PHP 39.45 valid up to 6pm Australian EST. 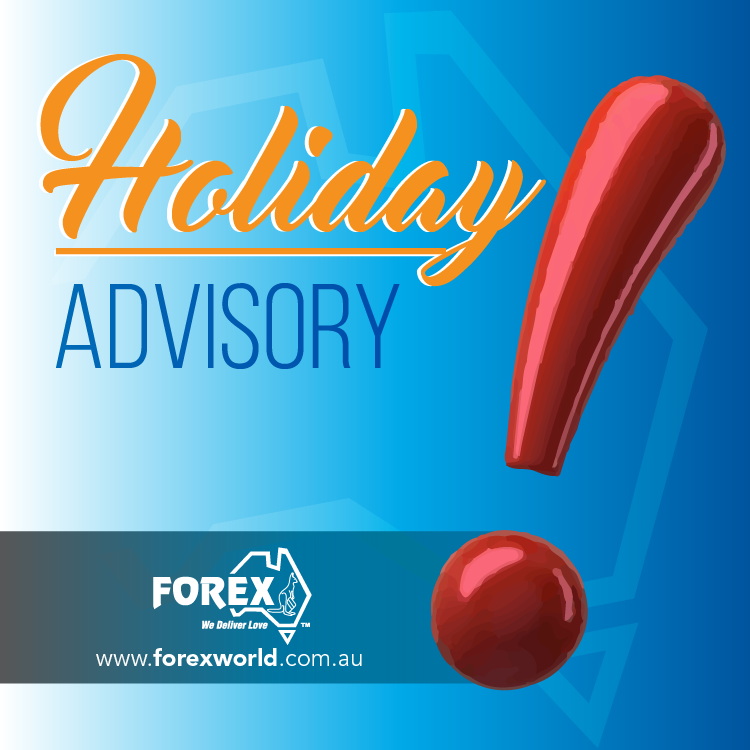 Forexworld Australia Exchange Rate May 31, 2018 (Thursday) is PHP 39.55 valid up to 6pm Australian EST. 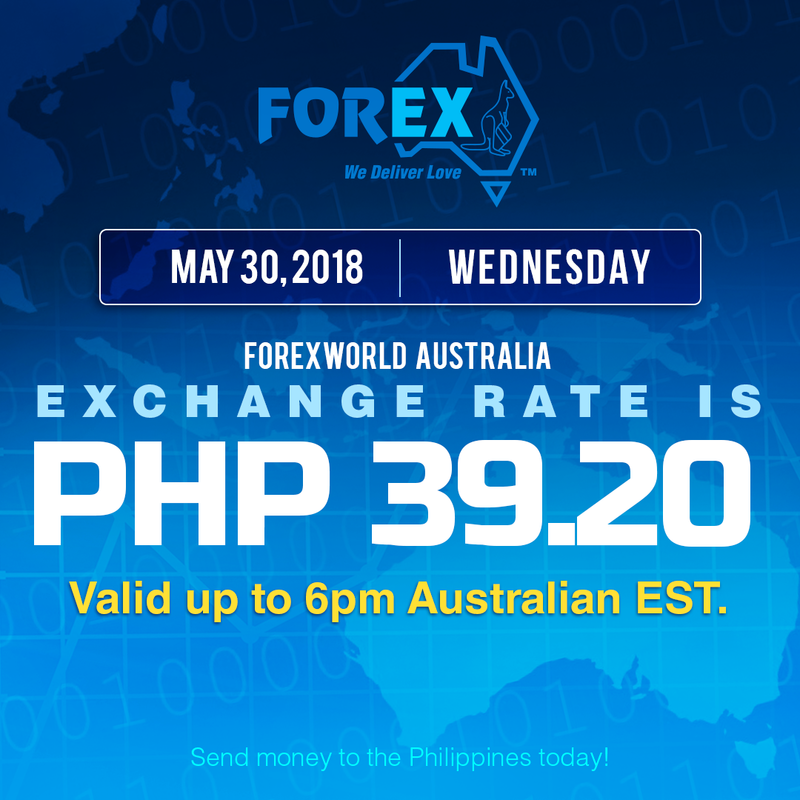 Forexworld Australia Exchange Rate May 30, 2018 (Wednesday) is PHP 39.20 valid up to 6pm Australian EST. Forexworld Australia Exchange Rate May 29, 2018 (Tuesday) is PHP 39.30 valid up to 6pm Australian EST. Forexworld Australia Exchange Rate May 28, 2018 (Monday) is PHP 39.55 valid up to 6pm Australian EST.